One of the cities featured an extraordinary facade with an entrance representing the open jaws of an earth monster. The site was actually visited in the 1970s by the American archaeologist Eric Von Euw, who documented the facade and other stone monuments with yet unpublished drawings. However, the exact location of the city, referred to as Lagunita by Von Euw, remained lost. All the attempts at relocating it failed. “The information about Lagunita were vague and totally useless,” Sprajc told Discovery News. “In the jungle you can be as little as 600 feet from a large site and do not even suspect it might be there; small mounds are all over the place, but they give you no idea about where an urban center might be,” he added. Laguinita was identified only after the archaeologists compared the newly found facade and monuments with Von Euw’s drawings. The monster-mouth facade turned to be one of the best preserved examples of this type of doorways, which are common in the Late-Terminal Classic Rio Bec architectural style, in the nearby region to the south. 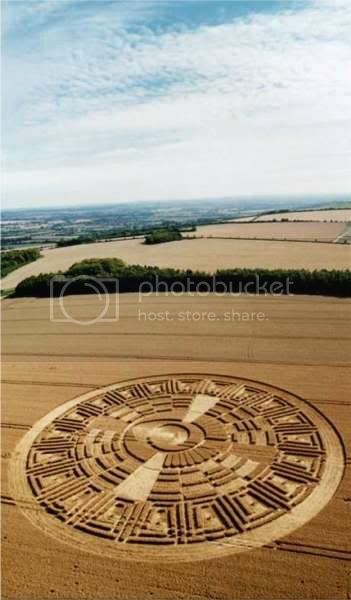 “It represents a Maya earth deity related with fertility. These doorways symbolize the entrance to a cave and, in general, to the watery underworld, place of mythological origin of maize and abode of ancestors,” Sprajc said. He also found remains of a number of massive palace-like buildings arranged around four major plazas. A ball court and a temple pyramid almost 65 ft high also stood in the city, while 10 stelae (tall sculpted stone shafts) and three altars (low circular stones) featured well-preserved reliefs and hieroglyphic inscriptions. Unfortunately, the remaining text, which included the name of the ruler and possibly of his wife, is heavily eroded. “To judge by both architectural volumes and monuments with inscriptions, Lagunita must have been the seat of a relatively powerful polity, though the nature of its relationship with the larger Chactun, lying some 10 km to the north, remains unclear,” Esparza Olguin said. Similar imposing was the other city unearthed by Sprajc. 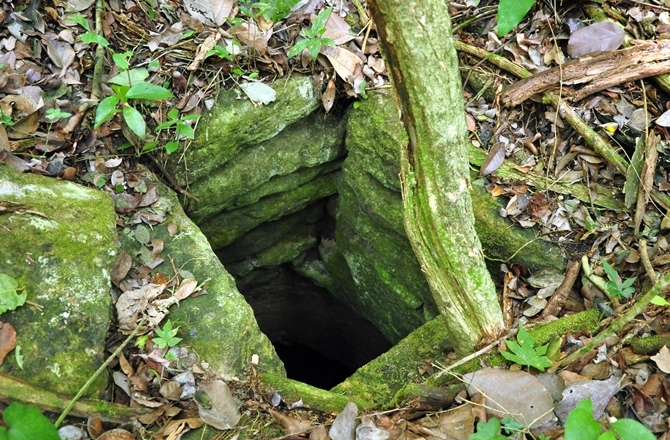 Previously unknown, the city was named Tamchen, which means “deep well” in Yucatec Maya. “Several chultuns were unusually deep, going down as far as 13 meters,” Sprajc said. “Both cities open new questions about the diversity of Maya culture, the role of that largely unexplored area in the lowland Maya history, and its relations with other polities,” Sprajc said. The work is a follow-up to the study of Archaeological Reconnaissance in Southeastern Campeche, Mexico. Directed by Sprajc since 1996, the 2014 campaign was supported by the National Institute of Anthropology and History (INAH), Mexico. Lead funding was provided by Ken and Julie Jones from their KJJ Charitable Foundation (USA); additional financial support was granted by private companies Villas (Austria), Hotel Río Bec Dreams (Mexico) and Ars longa and Adria Kombi (Slovenia), as well as by Martin Hobel and Aleš Obreza. 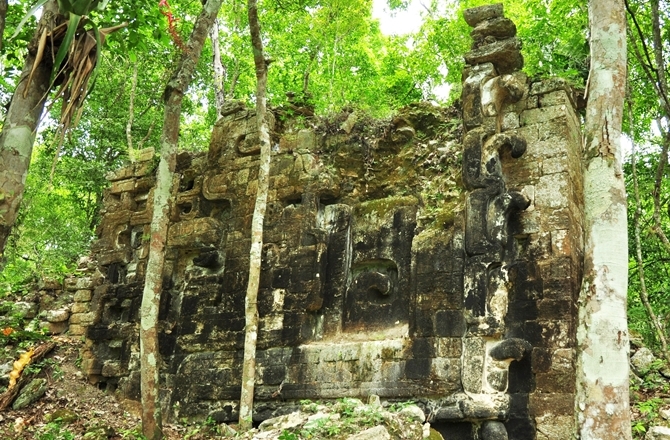 In June 2014, the southern part of the Calakmul Biosphere Reserve, where Sprajc discovered most of the currently known archaeological sites, was inscribed in the UNESCO World Heritage list as a mixed natural and cultural property. Un grupo de arqueólogos ha descubierto en la selva de México dos antiguas ciudades mayas con ruinas de una pirámide y de un palacio, además de altares, una enorme puerta y otros monumentos de piedra. Una de las ciudades había sido descubierta en la década de los 70 por el arqueólogo estadounidense Eric Von Euw que él mismo la bautizó como Lagunita. Y aunque Von Euw dejó varios archivos sobre las ruinas, no precisó su localización, lo que frustró muchos intentos posteriores por relocalizarla, hasta ahora. La segunda ciudad —descubierta por la misma expedición cerca de Lagunita y nombrada Tamchen— sale ahora por primera vez a la luz y constituye un nuevo hallazgo arqueológico que podría ayudar a conocer mejor la civilización Maya.Ivan Sprajc, del Centro de Investigación de la Academia de Ciencias y Artes de Eslovenia, que lideró la investigación, sostiene que estos hallazgos se lograron gracias a la ayuda de unas fotografías aéreas de la selva tropical en Yucatán, en el estado mexicano de Campeche. En las imágenes, los expertos observaron algunas anomalías entre la vegetación, por lo que decidieron llevar a cabo una expedición. Fue así como encontraron Lagunita, una ciudad entera que se extiende por cerca de 12 héctareas, al igual que Tamchen. Uno de los monumentos de esta ciudad que más ha impresionado a los arqueólogos es una enorme puerta que tiene tallada una boca gigantesca que, según han explicado, “representa una deidad maya de la fertilidad de la tierra”. “Estas puertas simbolizan la entrada a una cueva y, en general, a un mundo acuoso, lugar del origen mitológico del maíz y morada de los ancestros”, explica Sprajc. Los expertos aventuran que Tamchen pudo haber sido construida en el periodo Preclásico (300 a.C. – 250 d.C.) y antes que Lagunita. Esta investigación ha sido posible gracias al patrocinio de la fundación estadounidense Ken y Julie Jones Charitable Foundation, así como de las empresas privadas: Villas (Austria), Hotel Rio Bec Dreams (México), y Ars longa y Adria Kombi (Eslovenia).